* while stocks last. Limited to 1 per customer. 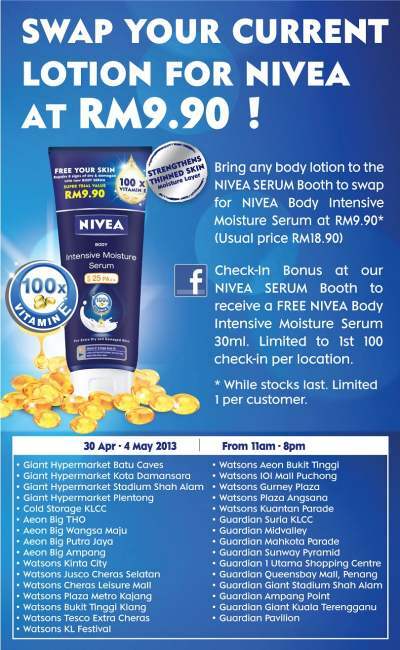 Check-in Bonus at NIVEA SERUM Booth to receive a FREE NIVEA Body Intensive Moisture Serum 30ml. Limited to 1st 100 check-in per location.